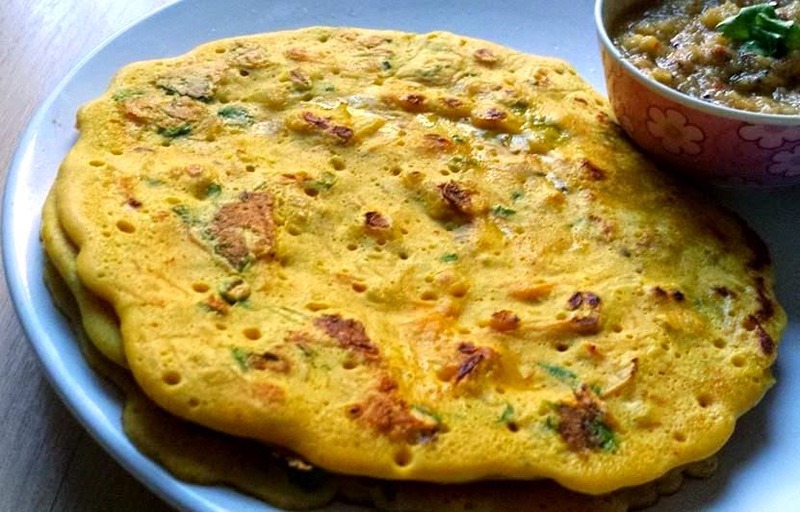 Pavi's Platter: Besan ka Cheela / Kadalaimaavu Dosai ! Besan ka Cheela or Kadalaimavu Dosa is quick breakfast dish when you run out of ideas or dont have idli / dosa batter. This dosa can be made instant and goes well with our south indian chutneys though its from Rajasthani cuisine. THis can be made more healthier for kids by adding more grated carrots, drumstick leaves or any green leaves like spinach. Chop the onion very finely and grate the carrot. Chop green chillis and coriander too. Take besan and salt in a bowl and add water little by little and mix well to form a smooth batter. Then add all the other ingredients and mix well. The batter should neither be so thin nor thick. Should be like normal dosa batter. you can also 2 - 3 tbsp of rice flour to this batter if you want thin crispy dosas. 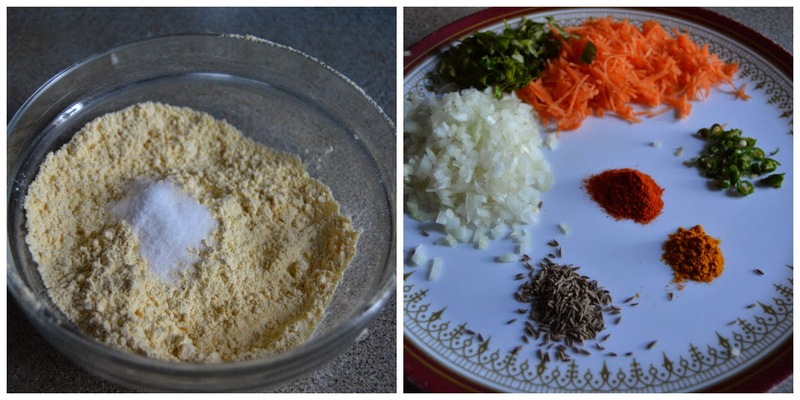 Garam masala and cumin powder can also be added if you like the flavor. I wanted to keep it simple. Heat a tawa/skillet and grease it with oil. Once tawa is hot enough take a ladle full of batter and spread it like dosa. Cook on medium flame for 2 - 3 minutes and then flip it and cook on other side too. 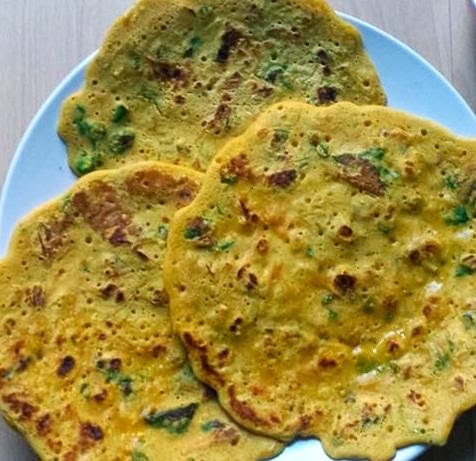 Besan cheela goes well with Mint chutney or any spicy chutney like raw onion chutney or Chilli Chutney ! Will post the onion chutney recipe in next post. Till then happy cooking and healthy eating !